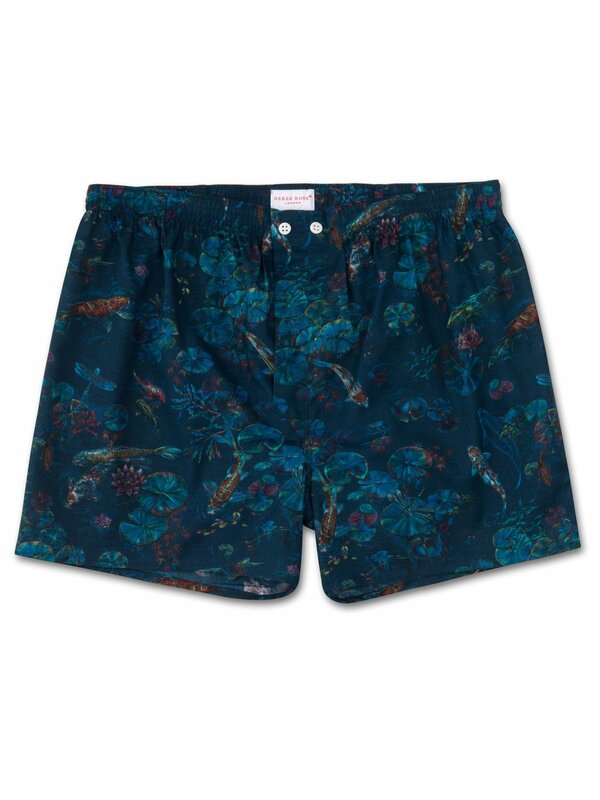 For a stylish piece of luxury underwear, the Ledbury 13 classic fit boxer short features our hand-drawn print of the season utilising a dark green background to offset the colorful, inky illustrations of koi carp swimming amongst the lily pads - traditionally a symbol of luck and prosperity in Japan. 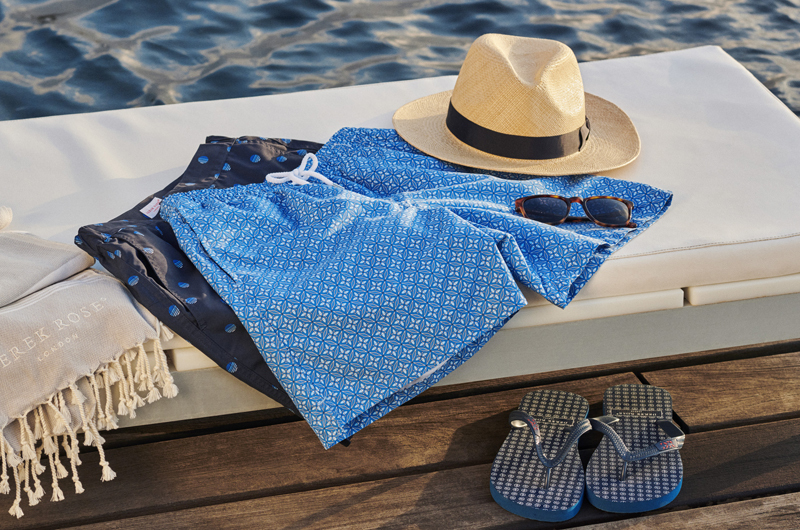 At Derek Rose, we first started making boxer shorts using the short length of fabric left over from our pajama cloths. The two button adjustable fly of our waistbands were modelled on those of our pajamas and we wanted to keep the same level of quality and comfort in our underwear.